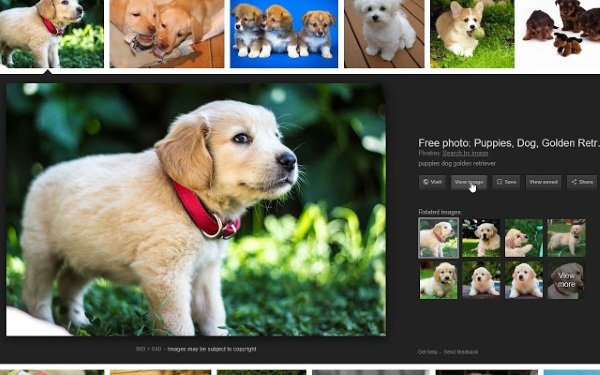 If you’ve used Google image search recently you may have noticed that the “view image” button had been removed. This was likely done to make it harder for people to post the photos without attribution but many people used this feature for legitimate reasons. You can get it back with the View Image Chrome extension. This extension does exactly what it says on the tin. It puts the view image button back where it was. It works and will allow you to view the image without going to the webpage. This is handy when the image is coming from something like Pinterest where clicking visit take you to a full board, not the image you want to see. Maybe Google will give us the feature back if we complain but if not, then this extension exists to be used. Download it for Chrome if you need it in your life.